One of the most valuable assets a person owns is their home. It’s where you raise your family and build lifelong memories. It makes sense to protect your home and family with a comprehensive home insurance policy, but there are plenty of times a home insurance claim is not paid. Typically, when a claim is denied it is due to coverage selections made by the insured or a policy exclusion (exclusions can vary widely between companies and policies). After reading this article you should have a good understanding of the different forms of home insurance policies, coverage limits and endorsements, claim prevention tips, and much more. You’re probably thinking – sweet chart, bro! Now, what in the world do “basic,” broad,” and “special” mean to me? Those are the covered perils your home is protected against. Fire is one peril that is covered on all home policy forms. Honestly, the HO-1 form is so basic that it’s rarely used in today’s insurance world. The HO-8 form is used primarily for older homes, particularly ones on a historical registry. Like the HO-1 policy, the HO-2 is rather uncommon. However, the broad form is used in renters insurance (HO-4) and condo insurance (HO-6) policies. It is also used for the personal property coverage on the HO-3 & HO-7 forms. The HO-3 is the most commonly used form and will be the one discussed in detail in this article. The basic and broad forms are named peril forms, while the special form covers all perils except specifically name that are specifically excluded. 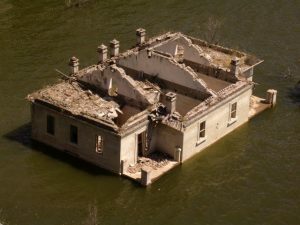 Flood would not be covered under a home insurance claim. It requires a separate policy. The special form is what’s most commonly used today for the dwelling coverage of a home (HO-3). It’s important to note that if you have a special form policy there may be additional perils that are excluded. These are simply common exclusions found on most HO-3 & HO-5 policies. Additionally, some of the aforementioned exclusions can be added to your policy through endorsements. As always, ask your #insuranceagent what is excluded and read your policy thoroughly. Now that you know which policy form is best for your insurance needs, let’s discuss some coverage limits in homeowners policies. A typical homeowners insurance policy is at least fifty pages in length. I know you took the time to read every single page, right? Do you understand how your policy would respond if you decide to file a home insurance claim? Most people would respond with no to both of these questions. Here are the basic coverages included on standard HO-3 policies. The dwelling, other structures, and personal property limit are critical components to insuring your house and stuff properly. The value used to insure your home is calculated through the use of a MSB home replacement cost estimator. 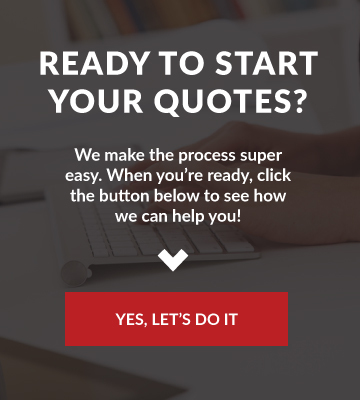 Each insurance company utilizes some form of a replacement cost estimator and MSB (Marshall & Swift/Boeckh) is the gold standard. New purchases and new policies to insurance companies are often accompanied with an inspection to validate or update the value calculated by the agent. Obtaining an accurate dwelling limit is critical because most insurance companies require the home to be insured to at least 80% of its replacement cost. Other Structures (coverage B) are any structures not permanently attached to your house. This limit is set at 10% of your dwelling limit and can be increased if need be. If you have a large barn or detached garage, you may want to increase this limit. This coverage is only available through a few companies as of this writing. The guaranteed replacement cost endorsement gives an uncapped limit for your home. While the policy will show a limit for your dwelling, provided it is insured to its full replacement cost, the insurance company agrees to rebuild your house no matter the cost. This is critical for catastrophic claims like tornadoes, where the cost of labor & materials will skyrocket. 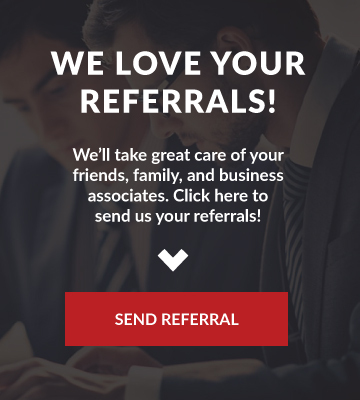 We recommend that all our clients purchase this coverage if possible. If guaranteed replacement cost is unavailable/not affordable, then select the highest extended dwelling coverage percentage possible. This endorsement is a no-brainer. The standard home policy is written on an actual cash value basis, meaning depreciation is taken into account when replacing your stuff due to a covered home insurance claim. 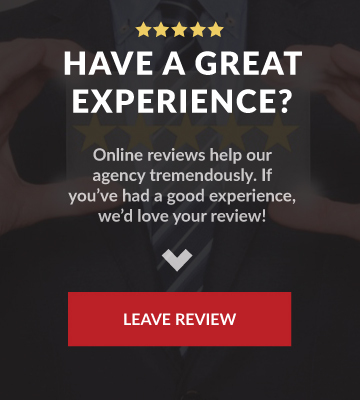 Every home policy should have this endorsement as it could save you thousands of dollars if you experience a loss. You will get the replacement value (no depreciation) to replace your stuff with something of like or similar kind. However, the insurance company will pay the actual cash value of the item until you actually replace it. Once you submit a receipt you will be reimbursed for the full cost of the new item. 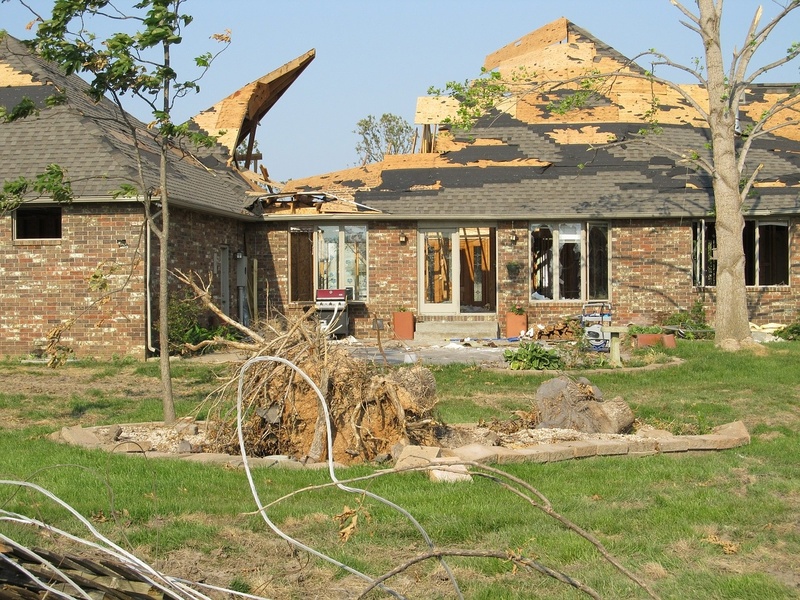 One of the most common claims in Indiana is wind or hail damage to roofs. Due to the volume of roof claims some insurance companies have added an actual cash value endorsement for roofs. Other insurance companies have made the actual cash value endorsement for the roof mandatory once the roof reaches a specific age, typically fifteen years old. Actual cash value on your roof could cost you thousands of dollars. If a new roof costs $10,000 and has reached 75% of its’ life expectancy then the actual cash value of the roof would be $2,500. If your deductible is $2,500 or more then you would be completely responsible for the new roof! Even if you have a $1,000 deductible you would still be responsible for $7,500. Make sure that you have replacement cost coverage on your roof to avoid this costly repair. Some insurance companies have an inflation guard built into their policies. If it is not included automatically then it should be endorsed. Inflation guard increases the limit for your dwelling and personal property by a percentage (2%-4% is most common). Building materials, electronics, toys, furniture, and pretty much anything you can imagine gets more expensive each year. So, keep up with inflation and add inflation guard to your policy. Water claims are one of the most catastrophic claims nationwide. In Fishers, many homes have basements and a common problem is that if we experience a heavy rainstorm then the sump pump will fail causing water to backup in the basement. Keep in mind that flood and water seepage through walls or your foundation is excluded. Water & sewer backup can also be used if a toilet backs up and overflows. We recommend a minimum limit of $5,000 even if you don’t have a basement or sump pump. If you have a basement, our minimum recommendation is $10,000 but it is not uncommon to require coverage up to $50,000 depending on the finishes and size of your basement. Midwest Remediation does a great job of removing the water from your basement and preserving your belongings. To help prevent sump pump failure we recommend you install a backup system. Most insurance policies have a sub-limit of $1,000-$1,500 for these items. They are also typically subject to your deductible, which in most cases is at least $1,000. If you schedule the items individually then you will likely have no deductible and you will be paid the full value of the item rather than the sub-limit contained in the policy. Scheduling items also provides broader coverage than your other belongings under your personal property limit. 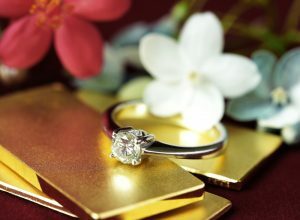 Lose the diamond from your wedding ring while washing dishes? The diamond is covered when it is scheduled. Can’t find your gun when the sun is setting on your hunting trip? Well, hopefully a reasonable, sound-minded person finds it. The gun would also be covered. Both of these scenarios would be classified as a mysterious disappearance loss, which is covered when an item is scheduled. The theme for scheduled personal property is that if you think something is worth more than $1,000 then schedule it. Most insurance companies require a receipt for the item or a recent appraisal. The cost to schedule items is inexpensive and is well worth it if you need to file a home insurance claim for a scheduled item. The standard homeowners policy doesn’t cover personal injury. The personal liability limit covers bodily injury or property damage you cause to someone or something. Personal injury covers claims like slander, libel, defamation of character, false arrest, wrongful eviction, and invasion of privacy. In today’s society where people find any reason to sue someone it is best to add this inexpensive coverage to your policy. It seems like every year we hear of a major corporation that gets hacked. 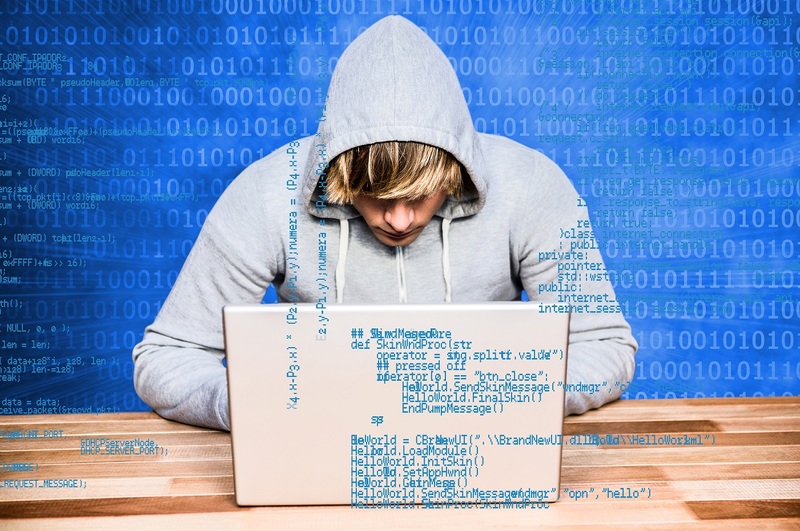 You do the best that you can to protect your identity, but if Target and Anthem can be exploited then nearly any company is vulnerable to an attack. If someone steals your identity and makes fraudulent purchases then this coverage would reimburse legal expenses brought upon by a financial institution, merchant, or collection agency. Most companies’ identity theft coverage will also monitor your credit for a period of time after the attack. It is undoubtedly important to understand the coverage you have on your policy. It’s equally as important to know what you would be responsible for paying out of pocket in the event of a claim. Your deductible is one of the key factors when considering filing a home insurance claim. It’s the out of pocket money you are responsible for paying for a covered claim. Similar to the rest of your policy, you have a wide array of choices for your deductible. There are two standard types of deductibles: fixed or percentage. The minimum fixed deductible for most insurance companies is $1,000 ($500 for renters insurance) and the maximum is usually $5,000. The fixed deductible is set for all perils covered under your policy. The choices available are typically in $500 increments from the $1,000-$5,000 range. The percentage deductible is based off your coverage A (Dwelling) amount. For example, your home is insured for $400,000. Your agent informs you that you have a 1% deductible, which sounds low to you but is actually $4,000! For a home of lesser value then the deductible is obviously less, but likely more than a $1,000 fixed deductible. The range for percentage deductibles is typically 0.5%-5%. Yet, the most common percentage deductibles are 0.5%-2%. Which deductible is right for you? Choosing the right deductible is a tough decision. Most people think they will never have to file a home insurance claim leading to the idea that a higher deductible will save them money. According to the Insurance Information Institute, one out of fifteen homes suffers a claim each year. If you increase your deductible from $1,000 to $2,500 you might save roughly $100/year. Is that savings worth it to you? Caution: Some insurance companies have implemented a separate & usually higher wind/hail deductible. Did you know that wind and hail claims are the most frequently filed claims? Once again, it is very important to understand your policy. Selecting a higher deductible makes sense if you have strong financial security, especially if you have a higher value home and only intend to file claims for a catastrophic loss. For the average person, the savings is minimal to switch to a higher deductible and could cost more money in the end. Of course, we all hope we never have to file a home insurance claim. 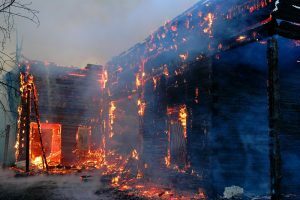 There are numerous measures you can take to prevent a future home insurance claim or mitigate one that is actively happening. 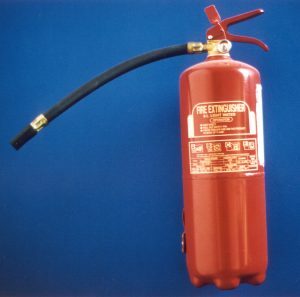 A fire extinguisher can prevent a fire from spreading. All of these quick & easy tips will reduce your risk of having a claim. However, the best defense against an unforeseen, catastrophic home insurance claim is having great coverage. Contact us today to get the right coverage for your home insurance!